To those of you who’ve read my most recent post of why I’ve been absent for the rest of January until the Super Bowl, here’s a little update on what I’m doing on Etsy.com. Those of you just tuning in to my blog, you may need to know or already know that I had a scare earlier this month about the lack of water in my body. I went to the hospital two Saturdays ago where I was nauseous and having violent diarrhea and one hell of a headache. The doctor at the hospital did another urine test and a blood test where she said I was dangerously dehydrated and my blood sugar was also a little bit low. That’s why they had to give me three bags of fluid, one of them with sugar water, strapped to my arm. It finally hit me when I was watching the Super Bowl that Sunday night. I saw Matt Damon’s Stella Artois commercial during the commercial break of the game when I realized that we Americans tend to take water completely for granted. More than half of the American population is dehydrated and they don’t know it. It’s mainly because we stupid Americans would much rather drink soda, beer, wine, cocktails, and other things instead of just plain H2O. And think about this: Most African and Asian countries, like Sudan and natural disaster torn countries, have little to no access to clean water. Women in Africa sometimes have to walk for hours and hours to find some kind of water, but it’s contaminated and can cause diseases like cholera. Meanwhile, we US citizens wash our hands with water and constantly buy bottles of it, fully intending on drinking it, but we don’t when we’d rather drink a Coke? I’m sorry, this is getting ridiculous. Everyone, and I mean everyone, needs water. More than 80 percent of our bodies are made of water, and our planet is 70 percent made of water. So what about those developing countries who have no access to clean drinking water? Dehydration can kill you. I mean it. Recently, I went to an advanced screening of Marvel’s Black Panther at the movies the day before it opened for everyone else. It was an awesome production, one of Marvel’s finest. I fell in love with T’Challa, the rightful King of Wakanda, and I loved Wakanda’s culture even more. The film was top notch in the exotic realm and I loved the original African influenced score. But the movie also had a provocative message. It talked about how Wakanda usually kept everything in hiding, never sharing their resources and technology with the rest of the world, until something went terribly wrong. And it had to deal with a child of an estranged Prince of Wakanda, and that child grew up on the streets and turned to crime. This is one of the things that happens when deep city communities are abandoned. We have to reach out to poor communities and cities with at risk youth and give them programs to help them stay off the streets. That is partially why I want to sell all of my Chocolate Writing Gloves to support NaNoWriMo.org, because that nonprofit organization helps young people find their voice and keep writing, even when their schools don’t encourage it enough. But other than that, I want to make donations to the American Lung Association in my dad’s name, because my dad is an asthmatic and he was just in the hospital for afib and pneumonia for a week last month, and his asthma prevents him from getting healthy by exercising and losing weight. I also want to do something for the Leukemia and Lymphoma Society because I lost my dear friend Robbie Greenberger to leukemia ten years ago, and if he had survived cancer he’d be 30 years old in July, the same age I am now. Robbie and I were born in the same month the same year. He was like the twin brother I never had. And thus, I’ve found another charity I’d love to give to: Water.org. 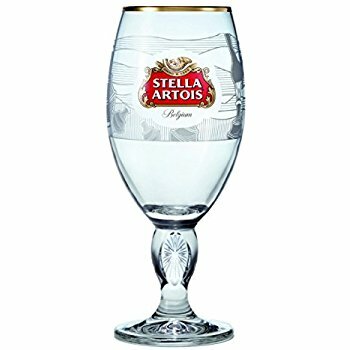 The glass chalices that Stella Artois is selling are really pretty, to be honest. And I do think it would be nice to have an extra water glass in the house other than my dad’s Winnie the Pooh glasses, Aragorn and Arwen LOTR glasses, and the Guinness beer glass that we rarely use in the cupboard. That said, I would like to propose this special offer. Buy $10 or more of merchandise from my Etsy shop, get 15 percent off (expires February 28). Buy one of my Harley Quinn bustles and get 40 percent off (expires March 14- use code THATSACROCHET- get it? It’s like “That’s Amore”). And if you make a purchase of more than $10 total, I will go to Stella Artois’s website and order a glass chalice for myself, while making a donation to Water.org. Also, if I sell the last four Chocolate Writing Gloves, I will make a $10 donation to NaNoWriMo. And maybe I’ll buy a Stella Artois chalice on top of that donation as well, if I can afford it. 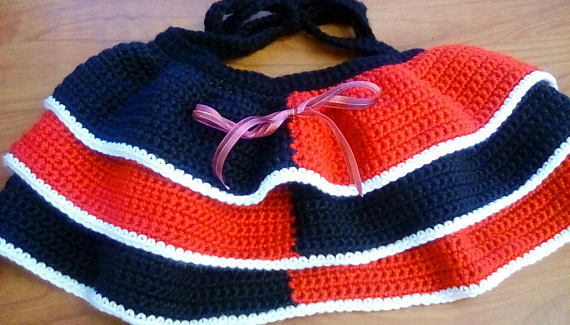 You can give my crochet as fabulous gifts to someone you love as a late Valentine’s gift, or you can give them as birthday gifts or for any occasion. My Miss Harley Tie On Bustle ($32 value, take additional 40 percent off with code) is a great gift for any cosplayer, and it can be a great addition to any fandom costume for Comic Con and Awesome Con, either as the Queen of Hearts, a red and black devil, or as Miss Quinzel herself from the Arkham games. 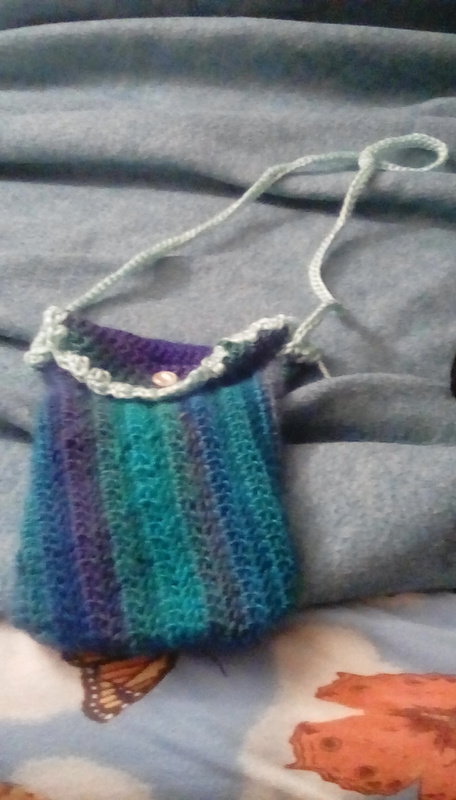 My tablet cover, the Unforgettable Fire case, is a gorgeous peacock colored Kindle Fire case for anyone that owns a Kindle Fire 6 or 7, and it’s in that soft Red Heart acrylic yarn called Boutique Unforgettable. It is a fan favorite and a dear favorite of mine. There are five of them in stock and I can crochet one in a single day, so please get it before the listing expires! 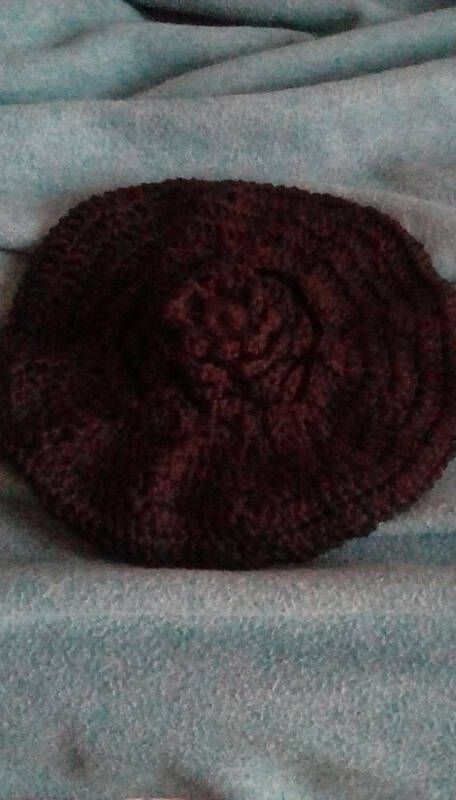 And then there’s my Black Lotus hat, which is a rosebud beret style that I improvised on and made it flawlessly good for the warm weather. The stitching is perfect, and the black yarn is by Caron Simply Soft, so it will not chafe against your forehead or your ears. Oh, and did I mention that I made my own style of rainbow gloves for LGBT pride? If I also sell enough of those, I will be able to make a donation to the charity of my choice, either lungs, leukemia, writing programs, or clean water for poor countries. Please help me reach my goal this year. I need you. This entry was posted in Authors, Blog, Fiction, Literature, Movie Reviews, NaNoWriMo, Nerd, Reading, Science Fiction, Writing and tagged C'est Chic Geek Couture Etsy, Cest Chic Geek LGBT gloves, Cest Chic Geek Valentines Sale, Chic Geek Etsy, Etsy Cest Chic Geek Black Label, Etsy Cest Chic Geek crochet, Etsy Cest Chic Geek NaNoWriMo gloves, Etsy Cest Chic Geek writing gloves, Etsy crochet halloween costumes women superheroes, Etsy Rachel Beth Ahrens, Lady in the Blue Box, NaNoWriMo, National Novel Writing Month, Rachel Ahrens on NaNoWriMo, Rachel Beth Ahrens, Rachel Beth Ahrens donation to water.org stella artois, rachel beth ahrens fiction and more, rachel beth ahrens my silver linings update, rachel beth errands, rachelbethahrens, The Nerd Queen. Bookmark the permalink.